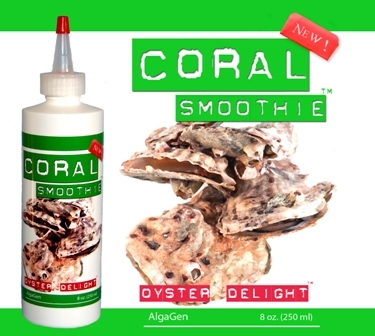 AlgaGen Coral Smoothie - Oyster Delight 8 oz. 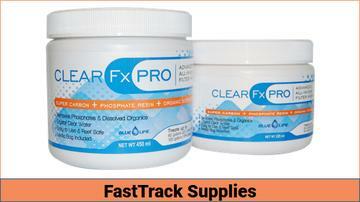 Get overnight shipping on FastTrack Supplies for only $4.99. Requires a Marine Life purchase. 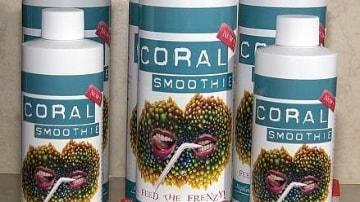 Coral Smoothie™ Oyster Delight™ FAST,CONVENIENT,UNCOMPLICATED FEEDING Coral Smoothie Oyster DelightTM is the second in the line of Coral Smoothie products that offer great value, high quality ingredients and convenience. Oyster DelightTM is made from fresh Florida oysters. 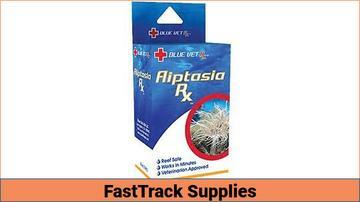 Oyster DelightTM is a great food for SPS, Soft Corals, some LPS and fish. Oyster DelightTM is rich in Essential Fatty Acids and proteins critical to healthy marine organisms. Oyster DelightTM contains: - Oyster reproductive tissue - Oyster eggs - Hydrolyzed vegetable protein Oyster DelightTM comes with an applicator tip that, once cut, will enable the user to spot feed simply by inserting the bottle into the tank; then point and feed. 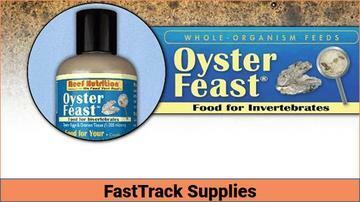 Oyster Delight has a 6 month shelf life and does not need to be kept refrigerated until it is used. However after opening it should be refrigerated. It is not a live product. Feed the Frenzy.